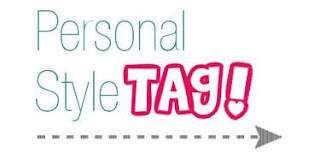 My girl Kassidy from Aesthetics of Style recently posted on her blog "Personal Style TAG!. I got tagged so keep reading to learn about what inspires my personal style. 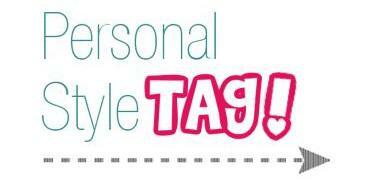 You can check out her original post here: K M: Personal Style TAG! 1. Who is your favorite, (if you can narrow it down) designer and why? I am not into designer names or labels. Ive never been the person to spend lavishly and if I did it really never was on clothes. If it looks good and is of good quality that is what I am wearing. I will say that Maggie London line at Dillards always seem to fit my body perfectly. When it comes to shoes I would have to say Jessica Simpson's line of shoes have always been great to me. Fashionable accessories I would have to give to Michael Kors or Marc Jacobs. Their bags are EVERYTHING!! 2. Which style trend(s) do you tend to gravitate to? I gravitate to styles trends that consist of polka dots and prints, lepoard print to be exact. I am addicted to leopard print. that show skin but in a tactful and modest way. I hate being completely covered up. I am from Nigeria, where it is HOT and being fully clothed is not the business (unless it's one's personal religious belief). 3. What's your staple (go to) article of clothing? Hahaha, Right now my tribal harem pants! They are so comfortable & I can do just about anything in them! Shop, Sleep, Clean, Travel, Jog, Blog, and Vlog! 4. Who is your ultimate celebrity style crush? Wardrobe: Lauren Conrad & Angela Simmons....Lauren has also represented the everyday girl & Angela gives you BADD in a Good way! Hair: Janelle Monae! Her natural locks are beautiful and up dos !!!! 5. If you could have your own fashion line what would you call it & why? Well unfortunately I don't have a cool name like "Kassidy Mi'chal" :) so I would have to go with a "Unrefined Curves". I am a curvy girl & sometimes these curves don't act right so my line would specifically cater to my curvy-licious glam gals! 6. How do you feel about the current state of fashion? Fashion is unrefined. When I say that I mean it isn't being processed anymore, which is great! People at times take fashion so seriously that they forget to dress themselves! During my school days there were things you did and did not wear. Now almost anything is a go. I think this new turn for fashion has motivated all individuals to think outside the box & self define fashion for themselves & not the next person defining it for them. Leggings! They are afforable. Also there is less work involved & bring immediate shape to almost anyone! Blogger & Vlogger, Shirley B. Eniang of www.meek-n-mild.com. She is so gorgeous & her style is so sleek & classy! Maybe one day I can get to The UK & meet her! 10. What is your biggest fashion tip to live by? I want to say thank you to Kassidy for tagging me and now i'm tagging everyone! Then tag your fashion friends and tell them to tag their fashion friends and we can all be friends! !